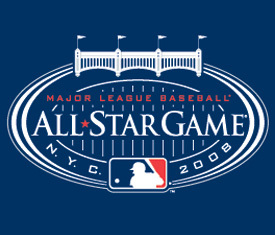 Just about a week ago, I wrote an article about who deserves to start for the American League in the 2008 All Star Game at Yankee Stadium. Now I am choosing who deserves to start for the National League. The AL was actually straightforward for the most part and there were not many difficult decisions. The National League was much more difficult. Designated Hitter: This one was tough to choose since the National League does not have a DH. The solution I came up with was to choose the best hitter who I did not select to start at any other position and I came up with Albert Pujols. He has the second highest OPS in the National League at 1.121, behind only Lance Berkman who plays the same position as him. Pujols also has hit 16 homers and driven in 43 runs while boasting a .358 batting average. He has been injured for some of the year, but has still put up excellent stats, making him deserving to start as the National League’s DH. 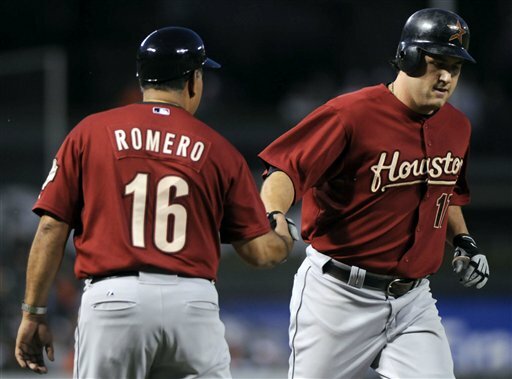 First Base: There are certainly some excellent candidates here with Albert Pujols, Adrian Gonzalez, and Carlos Lee all having very good years, but Houston Astros’ first baseman Lance Berkman stands out above all of them. Berkman leads all first baseman with a .367 batting av erage, is tied for the lead with 21 home runs, and is third in RBI at 63. He has the top slugging percentage and second best on base percentage of all first baseman and has even stolen 12 bases and has only been caught twice. Berkman has made only two errors all year and has compiled a .997 fielding percentage. Berkman is having the best year of his career and there is no doubt he deserves to start at first base for the National League. Second Base: Chase Utley and Dan Uggla both deserve to start at second base, but only one can. Utley has 22 home runs, 63 RBI, and a .293 batting average while Uggla has hit 23 home runs, knocked in 58 RBI, and boasts a .290 batting average. They are nearly identical in every statistic. They have scored the same number of runs (57) and their fielding percentage differs by .001 (Utley at .982 and Uggla at .983). Utley has 6 more hits than Uggla and has a higher on base percentage, but his slugging percentage is .025 worse then Uggla’s slugging so that evens it all out. I really can’t decide between the two of them, but the Phillies have had a slightly better season (very slightly) so I will give the edge to Utley. Shortstop: This one was easier than the other positions. Hanley Ramirez leads all National League shortstops with 17 home runs and also has a .294average and has driven in 34 runs. He has scored the most runs out of all NL shortstops with 67, has even stolen 17 bases, and is dominating in OPS at .909 (more than 50 points ahead of second place Jose Reyes). He has fielded terribly this year, having committed 14 errors al ready, but his hitting stats out weight the fielding stats and make Hanley Ramirez the deserving shortstop to start for the National League. 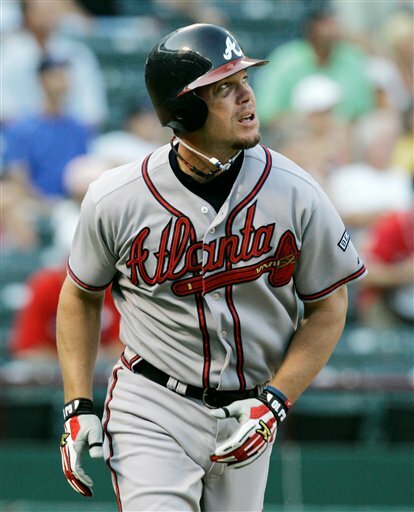 Third Base: Third base was another easy choice: Chipper Jones. He leads all of baseball with a .394 batting average and also leads all NL third basemen with 16 homers and is fifth in RBI at 46. Chipper has a monstrous 1.115 OPS, including a .630 slugging percentage. He probably won’t hit .400 this year, but Chipper definitely deserves to start at third base for the National League. Outfielder: A lot of good candidates here. First, I like Ryan Braun who leads all National League outfielders with 20 home runs and is second in RBI at 57 while also possessing a .287 batting average. He has not made an error all season and leads all NL outfielders with 90 hits. Next, is Ryan Ludwick who has hit 16 home runs, has a .286 batting average, and has driven in 56 runs. Most importantly, Ludwick is third in OPS amongst NL outfielders at .944 and has made only 1 error all year. Finally, Pat Burrell should get the final outfield spot. He only has a .272 average, but has walked 60 times to give him a .408 on base percentage. Burrell has hit 19 home runs and driven in 49 runs to give him an OPS of .988, tops among NLoutfielders. Burrell has also not made an error all year and even has 6 assists. There are plenty of other outfielders with similar stats to Braun, Ludwick, and Burrell, but I think those three are just slightly better. Maybe I’m wrong, but those are my selections and I’m sticking to them.